Despite the sharp fall of nearly 4.4 per cent in the Nifty50 index from its recent peak of 11,118 levels, there are nine stocks that are still showing a positive trend as per the MACD (moving average convergence and divergence) indicators. 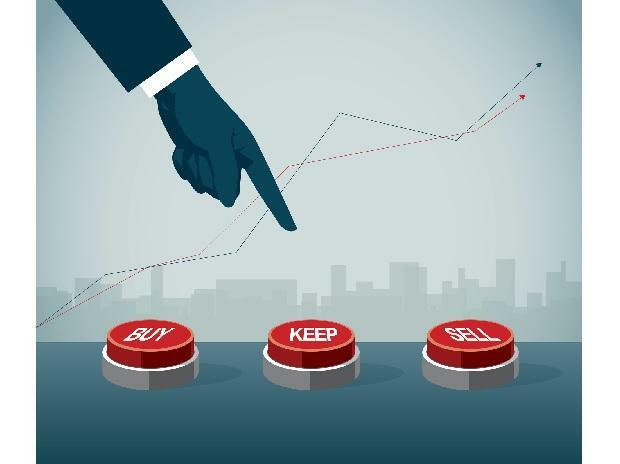 Dilip Buildcon (DBL), Oberoi Realty, Bandhan Bank, YES Bank, SUN TV, Muthoot Finance, DCM Shriram, Future Consumer and Phoenix Ltd can gain ground over the next few sessions, charts indicate. Moving Average Convergence Divergence (MACD) is a trend-following momentum indicator that shows the relationship between two moving averages of a stock's price. The MACD is calculated by subtracting the 26-period Exponential Moving Average (EMA) from the 12-period EMA. The result of that calculation is the MACD line. A nine-day EMA of the MACD, called the "signal line," is then plotted on top of the MACD line, which can function as a trigger for buy and sell signals. Traders may buy the stock when the MACD crosses above its signal line and sell - or short - the counter when the MACD crosses below the signal line. Among the above-mentioned counters, Future Consumer can trend higher if the stock crosses and sustains above Rs 50 level for 15 sessions. It may then enter into a new buying zone and a breakout can see the scrip hit Rs 63 – Rs 65 levels, charts indicate. Dilip Buildcon (DBL), too, has witnessed above-average buying volumes in the weekly chart. The immediate resistance falls around Rs 510, where the stock is likely to head over the next few sessions. Oberoi Reality has crossed significant resistance of Rs 490 level in the daily chart. The 50-day moving average (DMA) should soon cross the 200-day moving average (DMA), which should see the counter gaining further momentum. Bandhan Bank is hovering around Rs 465. It needs to conquer Rs 480 decisively, which also is its 200 DMA for a further upside. DCM Shriram will see more buying above Rs 360 level. There is support for the stock at Rs 320 level, charts indicate.